DON'T have more than 10 photos - It's important not to have too many photos in your posts. It influences the time your webpage takes to load & nobody wants to see 47 photos of the same outfit. All too often have I scrolled for what seemed to be forever in order to get to the bottom of the page, only to find that's it. 232 photos & no text & nothing to draw me in (or keep me or others coming back). Keep it under 10 photos. This is vital. DON'T have zero text - Having no text on your posts makes it so your page has zero SEO value. If you want your page to rank higher & do better, you should consider creating some actual content -- not just having billions of photos. Give the reader some information: Why did you choose this outfit? Where can they purchase the items? What did you do that day? Let readers know who you are. DON'T have huge blocks of text - On the other side of the spectrum, there is a downside to having too much text. If you're showing off your haul -- people love reading about hauls -- don't have a novel's worth of words. Blogging is all about scanning. This is the number one thing I learned when switching from print to digital media. Break text up into chunks to make it easier on the eyes. DON'T leave spammy comments - I wrote a whole post on the DOs & DON'Ts of leaving blog comments because it's extremely important. Don't leave a blog promotion that's longer than your comment. Don't be generic. Don't copy & paste. Don't be afraid to be honest. Make sure your comments to other bloggers are sincere & thoughtful, not just "great post" with links to all your social media. No no no. DON'T be afraid to be you - Despite their carefully curated Instagram, nobody's life is perfect. Their egg white scrambles & Gucci sunglasses are all a part of a tailored social media plan likely put together by a marketing firm. Don't feel like you need to follow suit. Be yourself. You don't need only designer clothes to feel like a true fashion blogger. I often buy thrifted or sale items & I have no shame to share that. DON'T forget to add links - It's important to add clickable links within your posts. You want to give readers the chance to explore related content if they so wish. For example, I talk about the do's & don'ts of leaving blog comments, so I made sure to add a link that you can visit. Some may want to read up more on the subject while others will skip it. Give your readers some more content to browse! You may want to read Social Media Basics for Bloggers. I love when bloggers include text and links to further information about their post, because I'm always curious to learn more, so I try and do the same when it's applicable. It's sad to me that "Don't leave spammy posts" is something that has to be told to people. Shouldn't they just know? So now that I've learned that, all I need to do is get some fashion sense. Maybe I'll just leave those posting to the pros. Great tips though. SEO is very important. The amount of "Great posts!" I get and that is it, kinda gets me annoyed. It makes me wonder if they even read the post! I loved this post! It's so important to actually have something to say when leaving comments on someone's blog, rather than just an excuse to leave your link haha. If you're going to all the effort to comment, why not put something meaningful and actually connect? Truly great advice! The idea of texts is really useful, I think I might follow on that! I still love to post more than 10 photos when it is from a trip i took! 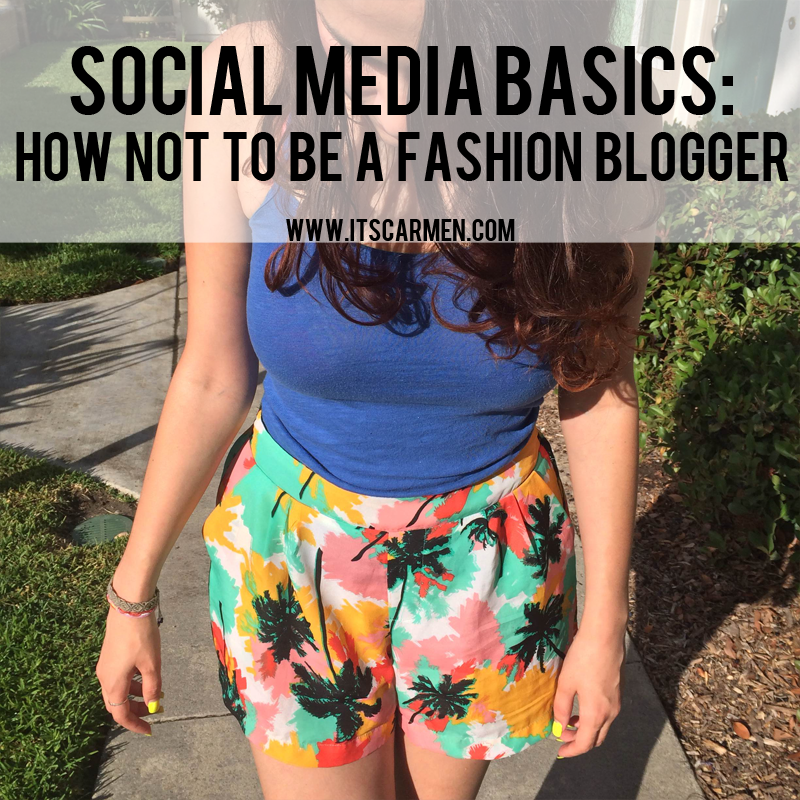 I'm not a fashion blogger but I sure did learn from these tips. :) I think most of these could be applied to other blogging niche as well especially the "Don't be afraid to be you." It's really important to be honest as I think most people appreciate real and honest posts more than just sugarcoating the topic. Couldn't agree with this post more!! Spammy comments are the worst!! I really, really agree! When people leave comments like "just found your blog, want to come follow mine?" I just cringe! I love that you're sharing social media tips to help others in the blogsphere! I agree with everything you wrote and I have so much to learn about SEO! I did see someone comment that you don't always have to write anything in your blog posts, but even tho I love Atlantic-Pacific's style, I feel like I don't really connect with her since I don't have an idea of what her personality is like. Content can take time to write but it's definitely important so your readers can be more relatable to you! Oh these are such awesome tips!! I'm guilty of having more than 10 pictures though. Its just too hard to narrow down! very helpful. I love browsing through fashion blogs and I like blogs the best with fewer pictures but with short text: precise and to the point. Great tips! I always try to keep the number of photos on my blog around 4-5. Not that I don't love looking at other people's outfits (obviously I do), but I'm with you, I do not want to see 10+ pictures of the same look. I think the most helpful tip (for me) in this list is the one about keeping your text short, but not long. It's all about finding that perfect balance. I used to write a lot more in each post but I finally accepted the fact that my writing is not my strongest asset, it's my photography. The best tips! I hate it when there are like 500 photos to scroll through and they all look the same after a while, it's much better to pick a selection of the best ones! It's also so important to be true to yourself! These are really great tips. I love hearing what other bloggers have to say about how to grow your blog because it's something I'm always working on. Thanks again! Great tips! I agree with many of these points - especially spammy comments. 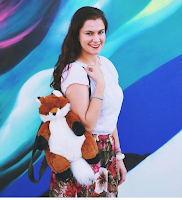 I don't mind promoting your blog (please do - I want to visit!) nor do I mind knowing when you have a new post. But when it's like "Like me on Facebook", "Please follow me on BlogLovin'"... I feel like they're missing the point of blogging. These are great tips and I agree with all of them. I'm not a fan of 50 outfit photos in one post and it really bugs me when a post doesn't have ANY words at all! It just makes you (the blogger) come off like you didn't even try very hard on that post. Great advice! I don't like to see more than like 7-8 photos max. I totally agree with all of these tips!! Love it! Thank you for sharing this post. Great inputs. Will try to keep that in mind. It's so nice when more experienced bloggers take the time out to give advice like this, thank you! How long have you been blogging? I just reached my six month mark and things are moving along alright, I definitely feel the ups and downs especially since moving to a self hosted server! Hi Carmen! First, thanks so much for visiting my blog! I'm also in digital/social media and I can't tell you how happy I was to discover you are too. It's rare to find a blogger that also has their feet in the field. These tips aka DONT's are so on point! The other day I saw a post with a ton of photos. So many, that I just had to go back and count them. THIRTY-TWO PHOTOS. No text. Like are you kidding me?? Very helpful list and yet simple to follow! SO true!! I'm not a fashion blogger, but this stuff definitely applies to general bloggers, too. Very helpful post!! I've never heard about 'less than 10 photos' rule... Hmm I really need to review my posts. I read somewhere that the best length of your blog post is somewhere between 300 and 1000 words. Personally, I do not follow it and write as much and as little as I feel, but probably it's true that no text at all or a very long text is not a very good idea. And - yes! - be yourself is the most important tip! Thumbs up for that!